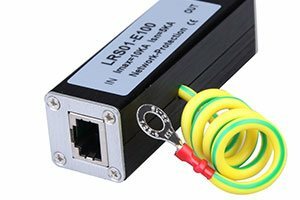 Turn your electrical wiring into an efficient data network. Our professionals can make it happen in your home or business. Connect devices and systems within your home and business for maximum productivity. Our electricians can help you do it quickly and affordably. Don't let an unexpected power outage damage your equipment. Bring in the professionals for fast, friendly service. Data is at the center of everyday life for millions of people around the globe. Whether you're implementing a computer network system for your business or you're adding a home theater or whole-house sound system to your home, Gravity Electrical is your dedicated Calgary electrical contractor. We have experience in all aspects of structured data cabling, and we take the time to ensure that every job is completed in the most efficient manner. After listening closely to what you want to accomplish and how you want your data network to perform, we can help you move from concept to a functional system that makes your life easier and more enjoyable. 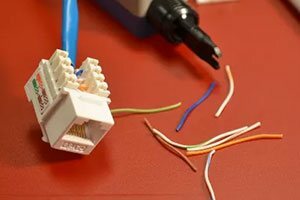 As a leading Calgary electrical company, we take pride in remaining up to date on all aspects of modern structured data cabling. 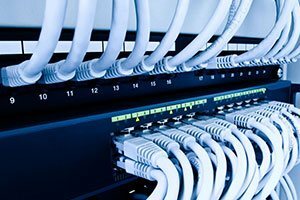 We can handle projects big and small and help design complicated data networks and simpler data cable installation services. From selecting the best placement for electronics to following safety guidelines and designing efficient networks, you can count on Gravity to deliver in a timely manner. Data cabling is a dynamic technology field that can change at any time as new technology is released. It pays to have a dedicated team of well-trained experts who have a passion for the industry. That is why so many people now trust Gravity as their preferred Calgary electrical company when it comes to all types of networks and cabling systems. They know that we will only send trustworthy and respectful professionals to their homes or places of business, and they are confident that our skills will result in satisfying results. Rest easy and place your data needs in the hands of proven professionals.